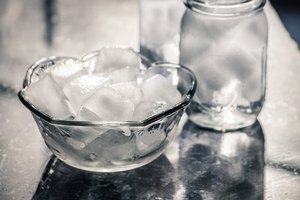 If you're troubled by cloudy ice cubes or ice cubes that taste and smell funny, there are some things you can do to correct the problem. The way you make your ice cubes and how you store them once they're frozen will determine their clarity and flavor. Regularly clean your ice cube trays. While it may be true that no one is actually eating out of them, they do receive a lot of handling by multiple people and need to be scrubbed thoroughly on a regular basis. Rinse your ice cube trays for several minutes to remove all of the detergent and detergent odor before you refill them to make fresh ice cubes. 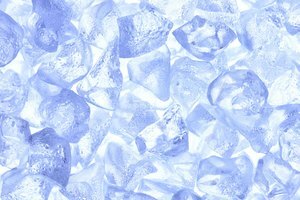 Fill your ice cube trays up with hot tap water, then place them in the freezer immediately for clear ice cubes with less fog or dull patches. Transfer your freshly frozen ice cubes immediately into freezer-quality resealable plastic bags to keep odors and flavors from penetrating your ice cubes. 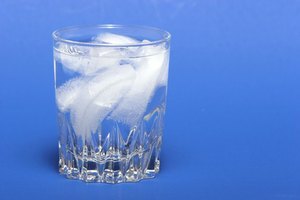 Replace your ice cubes periodically if you don't use them quickly enough. Water goes stagnant, even when frozen. Put the frozen cubes through your garbage disposal to safely sharpen the blades. Label the plastic bags so you know to use the oldest ice first or the newest ice for special guests or parties. Empty and clean your automatic ice cube maker every month. Toss out the old ice cubes and allow your refrigerator to make fresh ones for you to enjoy. Make flavored ice cubes from lemonade or coffee and place them in drinks of the same flavor keep your beverage cold without watering it down.